The day has finally come that the iconic camera maker, Canon, has decided to stop making film cameras. This news has always been expected, but nevertheless, to hear that we will no longer be able to buy a new 35mm film camera is still sad news. As somebody who learned photography in the dark room, processing and developing black and white film in my bathroom during the late 1990s, this news is all the sadder. The last camera in question is the Canon EOS-1V, which has not been made for 8 years – the news is that Canon has finally sold the last of its stock – the original EOS-1 was made in 1989, the V being the last of the upgrades. This was a film SLR (single lens reflex) camera, and a pretty good one at that. I started out with the Canon EOS 300, which came out at around 10 years before the EOS-1V. These cameras include most of the features you expect from a modern DSLR (I guess we can drop the D now), such as variable programs, shutter priority, aperture priority, metered manual mode, fully auto, and exposure compensation, for example. Most millenials cannot grasp the concept of a film camera. In today’s world of selfies, Instagram, Snapchat and “filters”, the idea of not being able to instantly view and share a photo is alien. For those who never experienced a film camera, this is how they worked. First, you would manually insert a new roll of film, which would need to be physically attached to the camera roll mechanism. You then close the door on the back of the camera, and be very careful not to open it again until the film is used and full would back into the camera – many great shots have been lost from doors being accidentally opened! Each film would usually come with 24 or 36 exposures – yes, you read that right. But, as you could not easily take a “selfie” with these cameras, there was little risk of burning through all the film in one minute. Once the film was used up, it would have to be wound back into the protective casing and then removed from the camera, and stored in a small plastic cylinder with a lid. 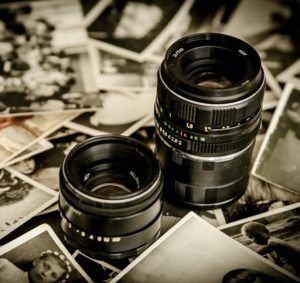 The film would then be taken to a photography shop such as Jessops, or if you were on a tighter budget, sent by post to Truprint or Prontaprint, who would return your photos a couple of weeks later – sometimes longer during a busy summer holiday. For more serious amateur photographers and professionals, an establishment such as Joe’s Basement (now closed) where your film would be developed, and then used to create prints. You would have to choose the size of the prints in advance (5 by 7 inch was my favourite, not too big, not too small) and within an hour, or after a day, depending on how busy they were, you’d get your photos. With film photography you never got the chance to choose which photos you wanted printed, so you would end up with thousands (literally box fulls) of old photographs that you never look at – a bit like the 3000 photos most millennials now have sitting on their iPhones). I still remember with some fondness when the first 1 hour photo services came to our high streets – I was out drinking with friends at Coventry University, and early in the evening one of the girls turned up with photos that were taken of us at around lunch time, when we were all amusingly still sober. We were all amazed and excited to be looking at photos of us from earlier that same day! Nobody else saw those photos or knew that we had been out drinking all day. Today, people take 20 selfies and view them all immediately, then share them across social media so that everybody knows what you are doing and where you are. The world has changed. Photography has changed. One of the greatest losses is the photo album. 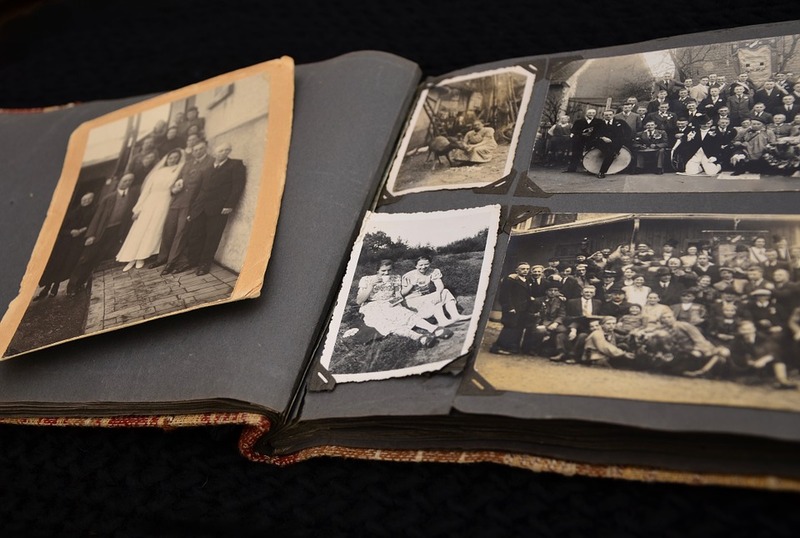 While home colour photo printers were supposed to keep printed photography alive, the demise of the desktop PC and rise of instant gratification from social media means that few people take the time to print out their favourite photos. While this is not a problem now, it is sad to think that future generations will be able to look back on old photos. How many thousands of photos have already been lost when a person’s mobile phone dies, or computer hard drive packs up? There does seem to be a growing interest in personal photo books, but these do not have the crazy, random beauty of an album. Of course, as a once keen amateur photographer, digital cameras are the best thing since sliced bread. Gone are the days of worrying about running out of film, or the cost of developing and printing photos – photography is now FREE. I used to come back from holidays with 10-20 rolls of film, and then spend a small fortune getting them developed and printed. Now, I can happily view and edit all photos on my computer. However, the most groundbreaking development in photography is not really the reduced cost of taking photographs, or the speed at which they can be shared, but the ability to edit photos. We used to have to decide in advance whether a photo would be black & white or colour, film would come with different “white balance” for outdoor and indoor photography, exposure would have to decided when taking the photo, and cropping would be done with a pair of scissors afterwards. The ability to edit a photo to create professional quality images is why even the biggest fans of film have moved to digital. And where we once had a choice of the expensive Photoshop or open source GIMP, we now have many free photo editing apps available (in fact, Photoshop provide a free web version, but it needs Flash), and most cameras (or phones to be more precise) come with their own editing apps, as so social media sites such as Instagram. Of course, even with the demise of film, there is still one big dilemma – what camera should you own? You can never beat the quality of an SLR camera with a quality 50mm lens, but the convenience of a great quality camera on your mobile is hard to ignore. And compact cameras have come a long way since film was abandoned in favour of motherboards and graphic processors. 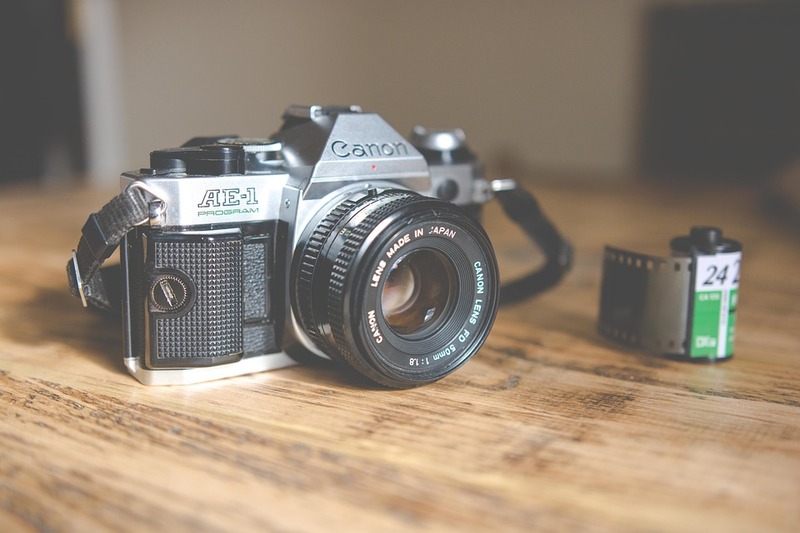 There is still one joy to be had, and that’s in buying a new camera, and site such as World Wide Camera Exchange are finding that business is booming since more people start to appreciate the better quality photos you can get from a proper camera. ← Want to Know Who Keeps Calling You?